WITH LOVE ANDAMAN & Nicobar Islands! This is a legal warning. Unless you are unwilling to completely let go of your hangover and stop memories about this wonderful place, people and experience over and over again, not to visit Andamans ! This place enchants you, brings the urge to never let go! Surrounded by the Bay of Bengal, this cluster of 257 islands to the east of India, is one of the hotspots famous by its blue beaches, coral treasures and the hospitality of the native crowd. Nicobar is the home of the Jarawas and Indian Navy and so much limited. As I move to Port Blair, small, clean city with paved roads, big trees on the sides, ruminating cows and goats, high rubber trees, dotted with small hotels to the smell of freshly caught fish is cooked in the thin air. Pepper wines and creepers pooled up, little children leaving for school, the sea breeze blew carrying the smell of nets and salt, all mixed in a plate. The best part was that the Maya Inn where I stayed overlooked the blue creek cargo port. At this point I should add that for women solo travelers, it is to travel the safest places to. Nobody bothers you; Crime Rates in the country and the region is very respectful towards women. Anyway! 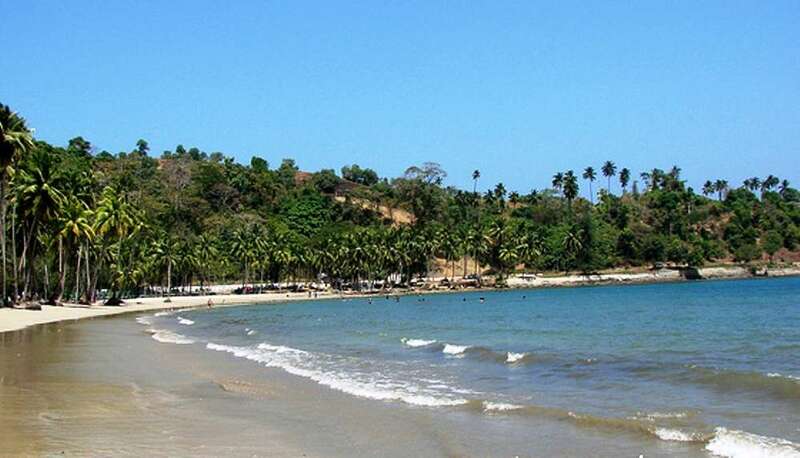 Soon, I brave the heat and head to the beach Corbyn Cove, one of the most famous beaches around Port Blair. It focuses on families who enjoy relaxing, enjoying a solid average to good eating and relaxing in the homestays in the area. After Corbyn’s Cove, the Marine Museum came to have the appearance of coral and marine wealth Andamans. Some colorful, beautiful and some of them extremely annoying. I put my glasses in the heat and veered off to the most anticipated award of the whole trip. 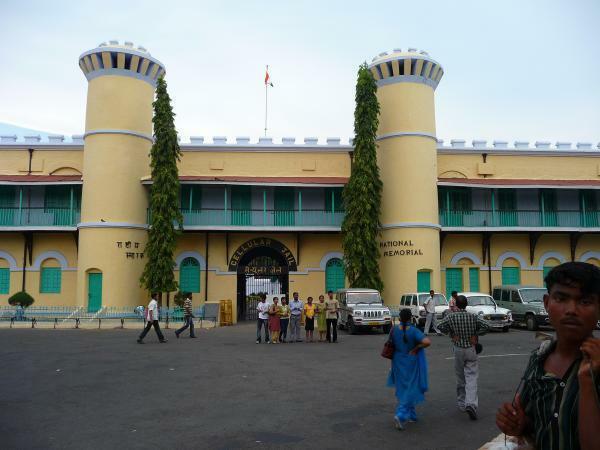 This is one that was feared by the pre-independent India, where the revolutionaries were punished, strength checked their air controlled on – The Silver Jail, or Cellular Jail in Andamans, remembered as Kaala Paani. The light and sound show at 6:00 enumerates the atrocities committed by the jailer David Berry, against the rebellious citizens of India, tortured and in the deep ocean for riddance sunk. It is a national museum of great importance now an art gallery. After a sumptuous breakfast, the next day, I started off at the Rajiv Gandhi Water Park near Haddo and caught a ferry to the three jewels of Andaman; Ross, Viper and North Bay Islands. The British had the world with administrative offices, pubs and bars in Ross Island and women in the prison at the Viper Island. They are currently in a state of ruin; tree roots creeping cracks between bricks and break them, destroyed by the tsunami and the rest stood shivering reminds us of a past era. The small ferry accelerated by the vast sea and down to the rhythm as The North Bay came next, where I was told that I would do in Andaman, the coveted sports; snorkelling and diving – it’s seeing the corals in real life, away from the television, they become my own, and so, to add to my belief that the world is indeed beautiful! I could hardly hide my excitement and was impressed with the sea and its bounty literally every second! I got the diver attire, an oxygen bottle, flappy feet guards and of course some instructions. I enthusiastically dive into the waves and pass huge corals, schools of parrotfish amazes me swimming right behind my ear! Woah! Exploring the world of Nemos and sea urchins hiding in the coral pockets over a span of 3 km in the sea was mind-blowing. It was the most beautiful experience of my life left me hugely amused, excited to do it again and deeply hungry after swimming in the sea! 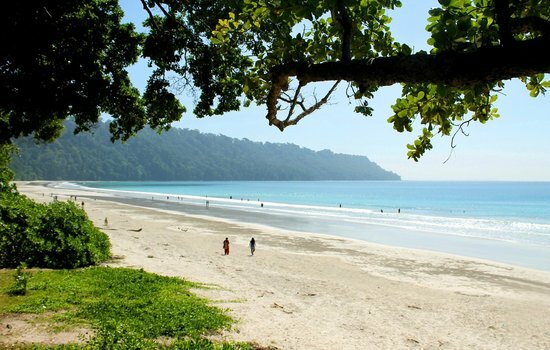 On Day 3, I got a paradise to visit – famous Radhanagar Beach, Havelock Island. Port Blair to Havelock ferry called the Bambooka layers at 06:30. It’s a great three-hour drive ship by the deep waters. The crew entertained some passengers with a few adventure stories such as water splashed and bubbled below. The ship docks at Havelock islands and in the yard, cars and taxis waiting for customers. Restaurants and some specialty shops littered the dock, selling local flavors. I quickly hop on an autorickshaw to Radhanagar Beach. As I approach the beach, I am charmed by the blue ocean, the whiteness of the sand and the beauty around. I turned my camera and could not keep myself from capturing everything that caught my attention until dusk. Day four was all about the beautiful blue Wandoor Beach, off Sipighat village at the end of the endless rice fields, lakes and small settlements. Clean water, dramatic Tsunami ruins and tranquility overload is specialty of this beach! I’m a big fan though I hate to leave even after sunset! 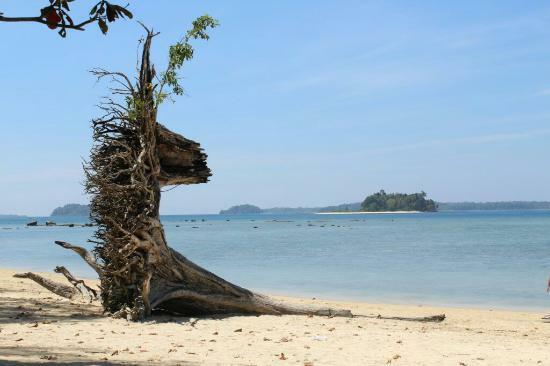 Pristine beaches and unexploited blue shores – that’s Andaman for you. After a good round for a few hours, I go back to my hotel at Haddo, with heavy heart, feels bad about leaving this place. Give me a finer essence of Andaman, I check in at a seafood shack overlooking the dock Haddo, ordered a cheese-rich Andamani meal – Bingo! Which hit the right spot. While I swallowed, I made a promise to myself that I am not a fool to return here would be! I recommend you Andamans to visit at least once and rejuvenate yourself in and out … all for the love of travel! Andaman Tour is a specialist family owned travel company. We provide the individual traveller, or group, with complete services . Posted in Tourist Place, TravelTagged Andaman Tour, Andamani meal, Best Honeymoon Destinations, Best Places To Go For Your Honeymoon, Most Romantic Honeymoon Destinations outside India, Top 10 Honeymoon Destinations, Top Ten Most Popular Honeymoon Destinations ..